Ukraine seeks to take part in several projects in Egypt, in particular projects on modernization of a steel works and reconstruction of a coke-oven battery for a company, Ukraine’s First Deputy Prime Minister, Minister for Economic Development and Trade Stepan Kubiv has said. 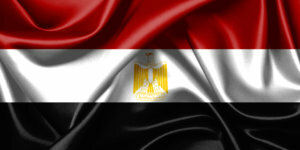 “Ukraine is ready to undertake several projects in Egypt. The first one is modernization of Helwan steel works worth some $200 million and reconstruction of a coke-oven battery for El Nasr for Coke & Chemicals worth some $80 million,” Kubiv wrote on his Facebook page after a meeting with the minster for state-owned companies of Egypt who visited Ukraine with the purpose of attracting Ukrainian specialists to construction and modernization of Egyptian state-owned enterprises. Kubiv also said that last year goods flow between Ukraine and Egypt reached almost $2 billion, and trade with services grew by 62% in 2017 compared with 2016. National energy company Ukrenergo believes that in the conditions of rampant development of renewable energy, highly maneuverable balancing facilities (battery and gas reciprocating power plants) with a capacity of 2.5 GW should be built in Ukraine before 2025, Ukrenergo Head Vsevolod Kovalchuk said at the presentation of the respective study in Kyiv on Tuesday. “Quick maneuverable balancing facilities should cover 30% of the installed capacity of facilities using renewable energy. Based on the forecasts of how the total capacity of solar power plants and wind farms will increase, by 2025 we need to build maneuverable facilities with a capacity of 2.5 GW – energy storage facilities with lithium batteries and gas reciprocating plants,” he said. Kovalchuk said that the cost of building these facilities is about UAH 55 billion. The head of Ukrenergo said that if Ukraine does not build highly maneuverable facilities, then with an increase in the share of renewable energy, it will have to limit production of nuclear power plants (operating in the basic mode) and increase the share of coal-burning thermal power plants (TTPs capable of maneuvering). This will raise the total cost of electricity generated in the country by 57.7%. Another alternative scenario is to limit the operation of solar power plants and wind farms in the peak periods. This will cost the country even more, as it will have to pay for both operation of nuclear power plants and TPPs, as well as compensate for under-generated electricity of solar power plants and wind farms. In this scenario, the total cost of electricity generated in the country will increase by 99%. “Out of the three possible scenarios, the construction of highly maneuverable balancing facilities leads to the least increase in the cost of electricity – by 48.7%. The investment of UAH 55 billion in their construction will save UAH 65 billion in comparison with the scenario of limiting the operation of renewable energy,” the head of Ukrenergo said. The head of the company said that, in his opinion, the construction of energy storage facilities with lithium batteries should be stimulated either by introducing a special tariff (following the example of ‘green’ energy) or through the mechanism of auctions. “We will initiate the introduction of a feed-in tariff, or other mechanisms that would make it possible to make the profitability of these highly maneuverable facilities no lower than for facilities consuming renewable energy,” Kovalchuk said. 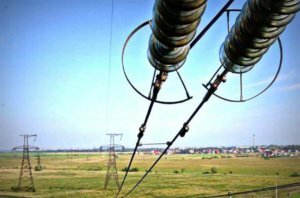 The head of the company said that a pilot project can be organized through Ukrenergo, when the Ukrainian power grid operator itself holds an auction for the construction of energy storage facilities. At the same time, he said that it would be impossible to delay the solution of the problem. The first 500 MW of highly maneuverable facilities should begin to operate in 2020.